How essential is digitisation for the growth of the manufacturing industry? There are two core aspects to succeeding in digital transformation, no matter the stage of the adoption. The first is greater integration of software. The second is increased connectivity of data. Harnessing these two core aspects of digitisation are key to driving new opportunities for growth. Companies are now leveraging technology to create digital twin capabilities ie: building a replica model in the engineering project phase, using data from asset and plan designs. This model can then harness augmented reality (AR) and virtual reality (VR) technologies to evaluate and test scenarios across the entire value chain — from design and build, to operations and maintenance, without any significant cost. Cyril Perducat, EVP of IoT & Digital Offers for Schneider Electric, says connected devices alone are not enough “to accomplish true digital transformation.” “You need to develop a seamless ecosystem of humans and machines, performing optimised, end-to-end processes. And you’ll need to be able to turn connectivity into true business value, by understanding the information that connected operations provide and by being able to act on this information efficiently and effectively,” he said. Dr Holger Feldhege, COO Manufacturing, Logistics and Supply Chain, said: “The speed of the resulting display on the terminal is greater than what we could previously achieve using routing slips, or other paper or electronic records.” As a result, Bühler and its customers are reducing downtime, speeding up operations and maintenance, and reducing human errors. Adoption of the digital tools for greater integration and connectivity is easy and affordable. There are three routes a company can take to accelerate its digital journey: 1) connect what was unconnected, 2) leverage data for new digital services and 3) modernise its technology. And finally, a company must modernise its existing technologies and assets. Most industrial companies can do this simply by adding a layer of connected products and software on top of existing assets — rather than having to “rip and replace”. 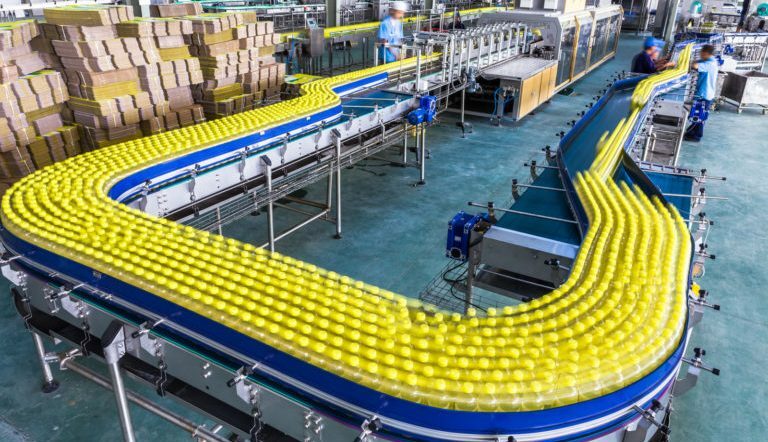 This factory, with its 100 percent automated assembly lines, implemented new software modules and the Industrial Internet of Things (IIoT) with numerous benefits. It now employs augmented reality to boost maintenance productivity, connected objects to set up predictive maintenance and integrated building management systems to save energy. Peter Herweck, Executive Vice President of Industrial Automation at Schneider Electric, states that the augmented reality maintenance tool alone “delivers between two percent and seven percent gain in productivity.” Le Vaudreuil is a leading example of how legacy companies can be unobtrusively updated and benefit from implementing smart manufacturing technologies. Original article published on CNBC on April 27, 2018.